Thirty years ago an iconic music video began airing on MTV and other music video stations. Oh, we didn't know back then that it was about to live on in infinity quite yet, but it's now 2015 and A-ha's "Take On Me" has truly stood the test of time -- it's even been parodied on Family Guy and Volkswagen did their own take on it for a commercial spot a year or two ago. Back in the '80s, most music videos -- if they were done right -- were like short films that told a story, and "Take On Me" should definitely be on any list of the best music videos ever made. It was clever, cute, fascinating, and backed by a good song with a bit of an interesting history, too. Most American music fans may not realize that the Norwegian trio A-ha (made up of keyboardist Magne Furuholmen, guitarist Pal Waaktaar-Savoy, and lead vocalist Morten Harket) is still very much active, recording music, and performing. They just released a new studio album after a five year hiatus (Cast in Steel) and are getting ready to kick off a European and South American tour this month. 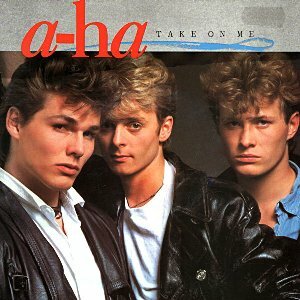 "Take On Me" may have been the band's biggest and only American hit, but their popularity continued in Europe and the group has sold 80 million records worldwide. The three men formed the band in 1982 in Norway and moved to London that year to launch their music careers. Here's the very early version of "Take On Me" (or "The Juicy Fruit Song") which had a definite rock sound, and then "Lesson One" which it morphed into, accompanied by Furuholmen's keyboard work, who has cited Ray Manzarek of The Doors as a huge influence for his role in "Take On Me." The U.S. branch of Warner Brothers still believed in the group, and felt the song was hit-worthy. That's where the story of the infamous music video we know and love comes in. I think the reason the video is so endearing to '80s music fans is because the visual effects in it are old school and were accomplished without a computer. (Well, and some of us girls at the time briefly fantasized about being pulled by Harket's drawn hand into that same animated world -- sans bad guys chasing us with a monkey wrench, of course.) For the longest time I thought the animation was credited to the work of one comic artist, but the sequences were actually achieved using rotoscoping, a technique that is a hundred years old. With rotoscoping, live-action footage gets painstakingly traced over frame by frame to create an animated version of it. For "Take On Me", over 3,000 frames were traced over in pencil by several artists and took over four months to complete. To this day we don't know who these artists were that worked on creating the video, but kudos to them! Bailey appeared on a British show a few years ago called Big Fat Quiz of the '80s and looks...exactly the same. 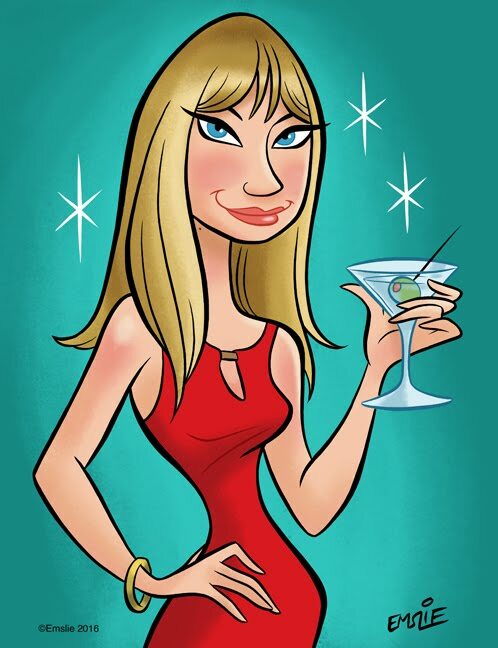 She's as lovely as ever and hasn't aged at all! 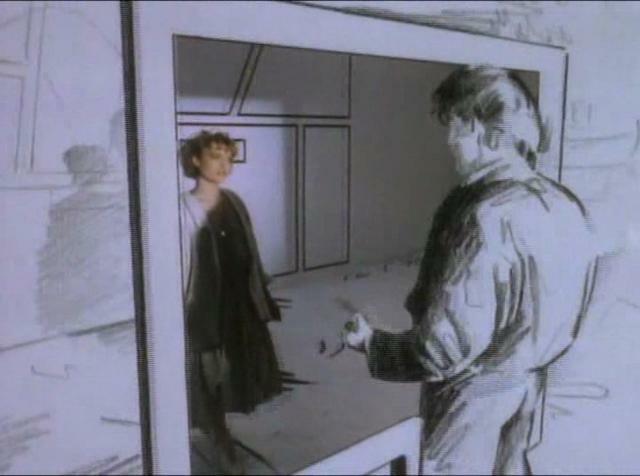 As for "Take On Me", the U.S. video catapulted it to the top of the charts. It was also released in the UK for a third time, which turned out to be the charm: it peaked at number two on the UK singles charts, thwarted by Jennifer Rush's "The Power of Love" in the number one spot. It finally made the band a smash and they went on to rack up music awards. The music video won six trophies at the 1986 MTV Video Music Awards. There seems to be a lesson in the story behind "Take On Me" about the power of perseverance and believing in one's self and talent. Ironically, part of the reason the group then faltered in the U.S. is because they refused to be pigeon-holed as teen idols with songs similar to "Take On Me." They decided to stick to focusing on what they wanted to produce, which has worked very well for them in other parts of the world. And now for old time's sake, here's that infamous music video. Go on, you know you want to watch it again. Whenever I think of the early MTV days, this video comes to mind as one of those that defined the video magnetism of MTV. I absolutely binged on music videos by keeping the television on instead of the radio. Watching a performer was so much more fun! That original "Blue" version of 1984 is really great. Just as good as the subsequent one. Love the echoey (vocaded?) voice. But let the whole thing be a lesson, sometimes corporate interference actually makes things better. The wonderful EMP Museum in Seattle has the original artwork from the video. The exhibit is about the development of music video...like everything else in the museum, it is excellent!